Every shaper knows you’re only as good as your glasser. Ray Lucke makes Thomas Patrick Surfboards look as good as they surf. 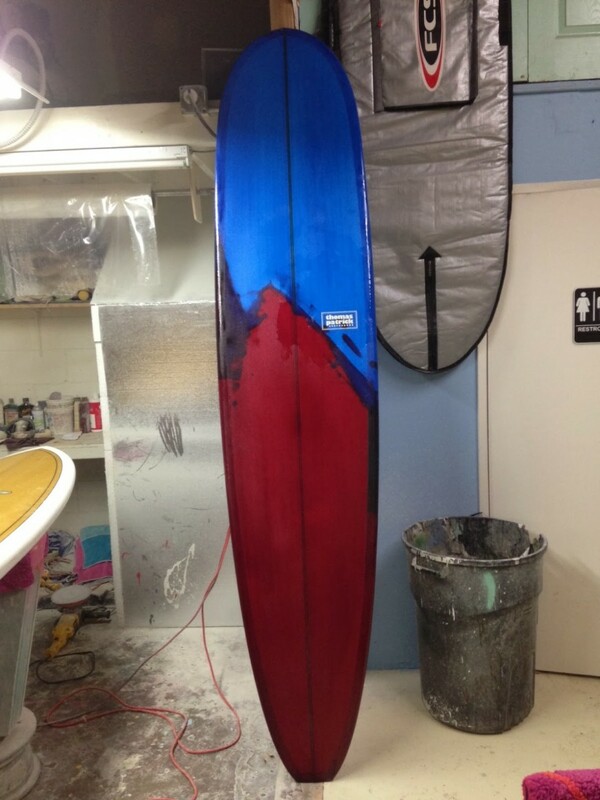 Case in point, a 9-0 high-performance noserider for customer Kirt in San Clemente, CA. This is epoxy resin and S-glass over an eps core (from Marko Foam), with a cedar-basswood-cedar t-band. Light, strong, beautiful. I just love building custom boards!! Let me build one with you!